Cowboy boots are essential equipment for any horse rider. Western boots are practical and durable. Western boots are designed to protect your legs and ankles while riding, but as well as being practical, Cowboy boots can be a fashion statement for Auburn customers. Because our cowboy boots look so good, you don't need to keep them just for riding. 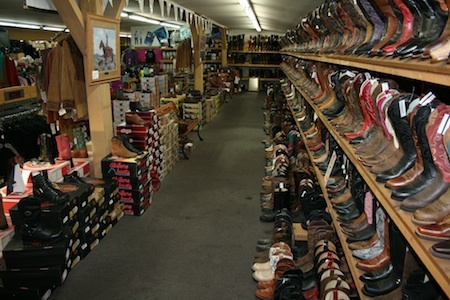 At Country Square Western Wear, we have western boots that will look good with any outfit. 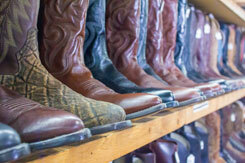 We have a wide range of western boots that are designed specifically for casual and dress wear in Auburn. Why use your western boots just for riding when you can wear them in Auburn for any occasion? Our wide range of Western boots also includes cowgirl boots designed for Auburn girls and women of all ages. With such a big choice of boots in stock, you’re guaranteed to find a pair of cowgirl boots to suit your personal style. Boots are not only practical but also fashionable. Our cowgirl boots now come in many different designs and colors, so you can be sure to find a pair to suit any outfit. Browse our large collection of cowgirl boots now to find your boots. 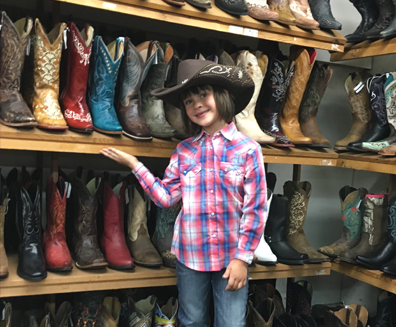 Country Square Western Wear offers one of the largest selections of western boots in the Auburn area, making sure that you always can find the right pair of cowboy boots or cowgirl boots for any occasion or taste. In our vast collection of western boots, you’ll find practical cowboy boots suitable for hunting, riding and working. If you’re looking for a pair of western boots that are more casual, then our huge range of cowboy boots and cowgirl boots then we can help you. For your ideal pair of western boots, come and browse our collection of cowboy boots and cowgirl boots in store. Call us now on 253-220-7674 for more information. Or, if you’re in Auburn, WA or the surrounding area, visit us in store today and pick up your perfect pair of cowboy boots or cowgirl boots.